Home / Blog / Colleges / New Petersons.com Redesign – WOWZA! You may have noticed–we look a little different. Our new site, Petersons.com, was launched Tuesday, November 13th. We’ll walk you through everything that we’ve improved on the site so you can find the schools, scholarships, test prep, and info you need easier. If you prefer to see what’s new on Petersons.com via video, click here. First things first: cell phones. We know you like to use them for just about everything–including your college search. So we made a few format changes to Petersons.com, so you can access everything easily on your mobile devices. This may be the first thing you noticed, so we won’t list out every color. But this is what you’re getting when you search for scholarships, giving a similar satisfaction to beautifully-penned notes that make you want to study. Our new site is more intuitive to the user and makes it easier to find what you’re looking for. 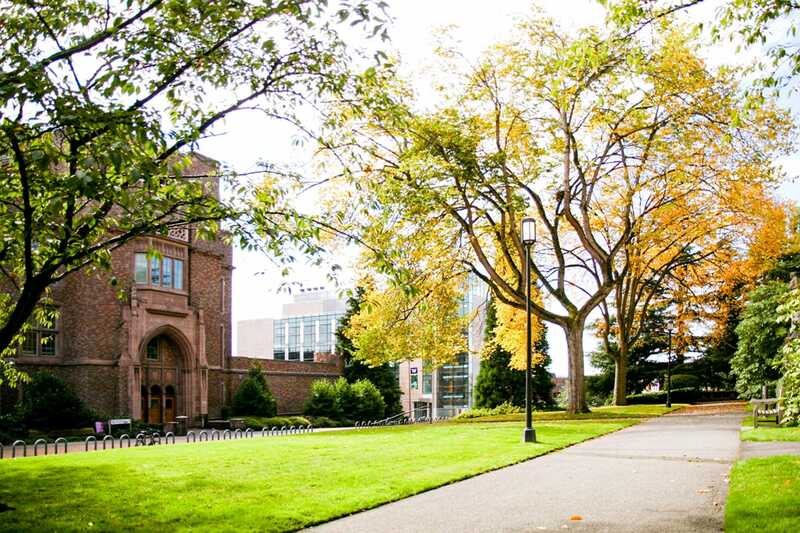 The home page gives a drop down menu to find the college you’re looking for, while the tabs let you dig deeper into the other products and tools Peterson’s offers. While we’ve always given you the option to filter your searches by school size, GPA requirements, etc., we’ve added in a few more options so that you can truly find your best college fit. 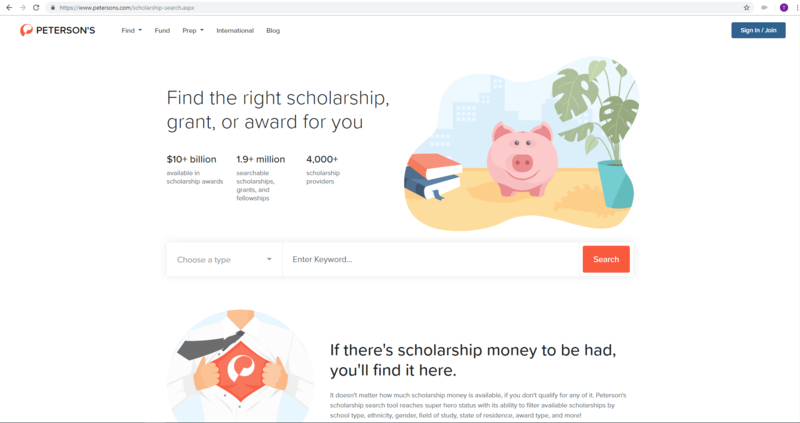 Now when you log in and search for schools or scholarships, you can save the ones you like and access them later. 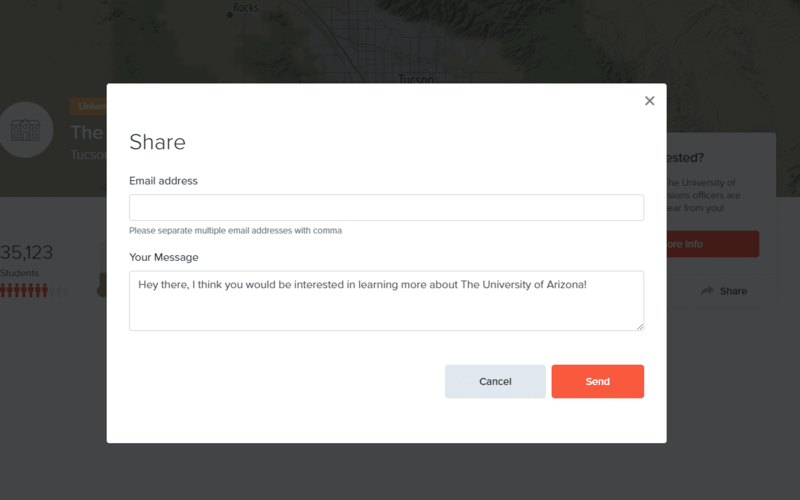 You can also share info when you click “share” and type in the email of the person you’d like to share with. 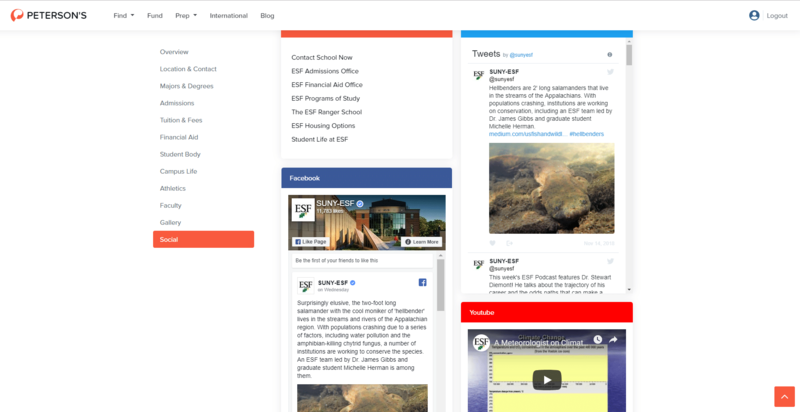 For all of our featured schools, a social tab now includes the social media feed of the school you are looking at. Get a feel for the campus energy and style by scrolling through these. Our location details now include an embedded google map that shows an overview of where the school is, as well as an option to view as a larger map where you can zoom in and out. This is especially helpful when looking at colleges you’re unfamiliar with, so you can see exactly where they are right off the bat. We’ve launched YouVisit on our site. 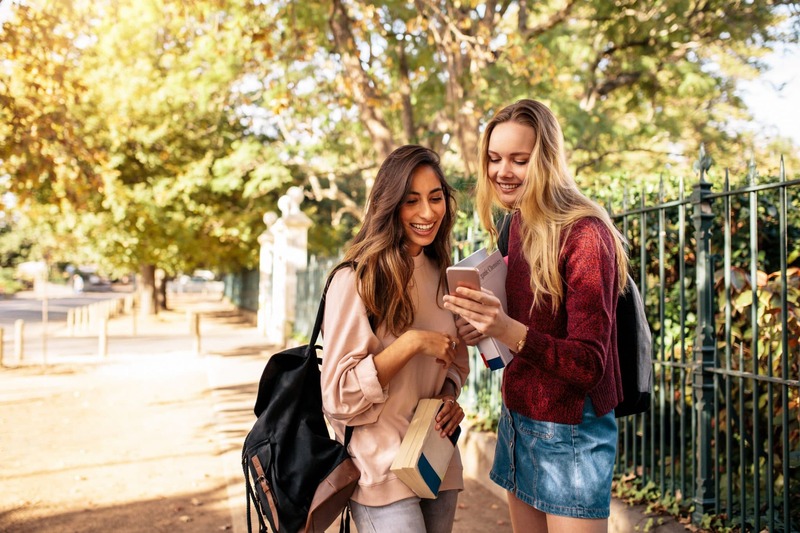 YouVisit allows students to take a virtual tour of a college campus, so you can get a college tour feel even if you aren’t able to visit the college in person. See more info about our partnership with YouVisit and participating schools here.